Otto Jarl sculpted mostly wild animals, such as his Tiger, but he also did a fine model of Two Collie Dogs together. This small bronze shows one Collie standing and his companion Collie lying down beside him. The composition shows the friendship between the two dogs. 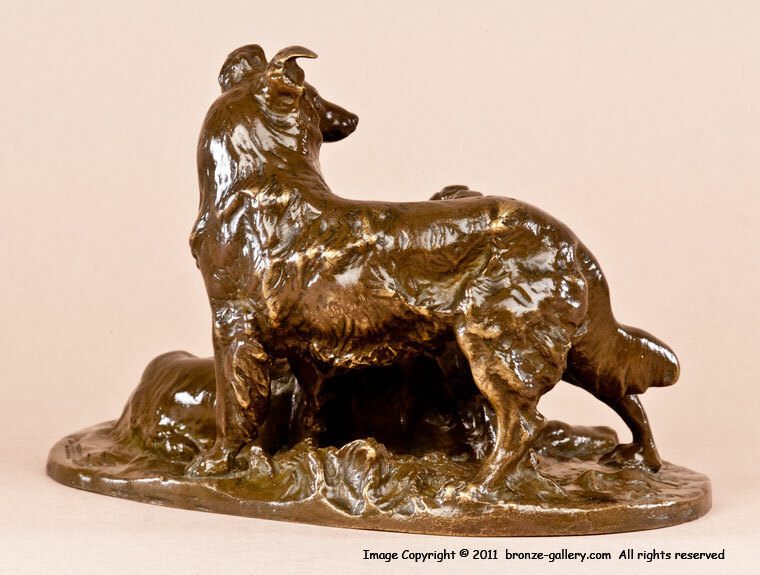 Collies became very popular in Victorian times, largely due to Queen Victoria's fondness for the breed. She owned many Collies and they went from being working farm and sheep herding dogs to much loved pets. Beatrix Potter the children's author was also a great fan of the Collie and kept several over her lifetime. 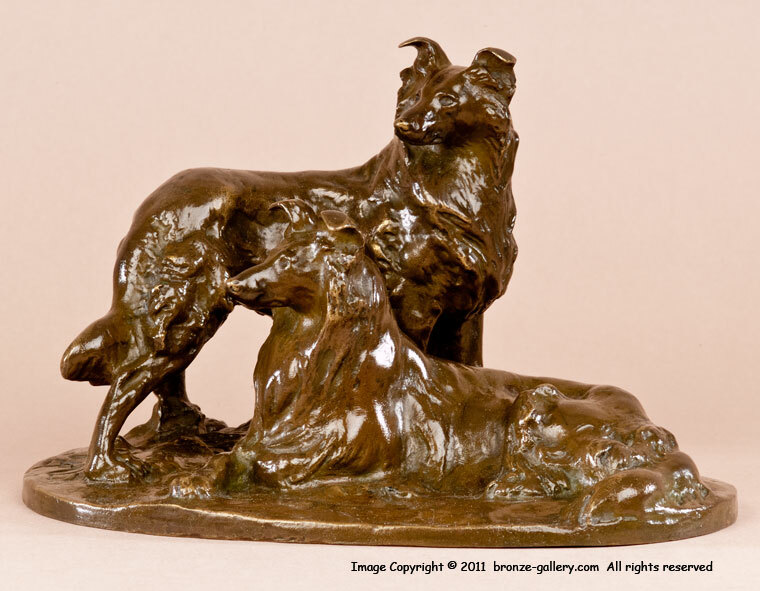 This fine bronze is unusual in that it is cast in Sweden. It is marked OSTERR. GESELLSCH. Z. FORDERUNG D. MEDAILLENKUNST UND KLEINPLASTIK on the base, and it is signed JARL by the dogs feet. 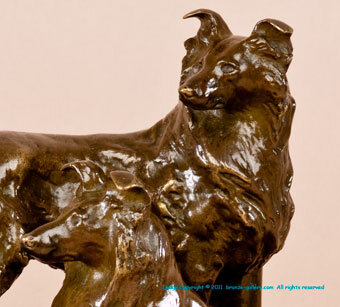 The bronze has a warm greenish brown patina and it is quite rare to find old bronzes of Collies.